Indeed, organizations around the world are realizing the significant value with IoT. However, when it comes to coordinating several interdependencies within the company, the connected technologies face limitations in a number of IoT use cases. For example, to monitor an oil refinery, one needs to install numerous sensors at every step – from fractional distillation, chemical processing, to storage – they want to manage. But will that help in monitoring an entire refinery efficiently? 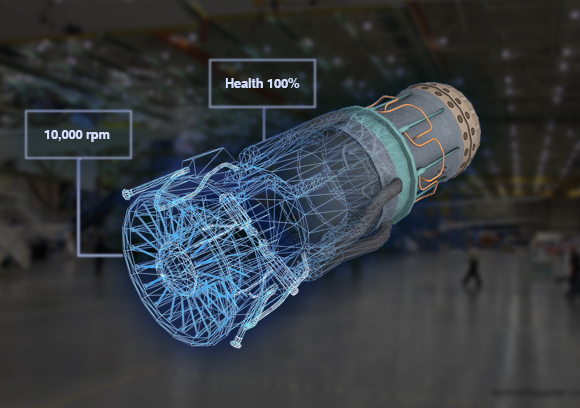 With digital twin implementation, a plant operator or a process engineer can take measurements from 5,000 to 500,000 sensors, consider contexts, and account its current and future state – to look at what’s operating well and what’s not, and make decisions. Whether a company belongs to the asset-intensive industries like mining, heavy engineering, aviation, or packaging, food, and textile industry – the convergence of the digital and physical world is the key to complete the digital journey. In all, if you want to improve the profitability and reduce risk, you may strongly consider to establish relationship between the digital twin and assets and processes. Question 1: I have not implemented IoT in my factory. How viable is it for us to use digital twin? Answer 1: In order to implement and use a digital twin, you would definitely hav to plug in different data points to the digital twin model. Without any machines or factory processes connecting to your IoT infrastructure, digital twin may not be able to give you any result. So you definitely have to start an IoT/data journey to begin with, then only it makes sense to create a digital twin. Question 2: Can a digital twin use the existing data that we have collected over a period of time? Answer 2: Yes, it is in fact very useful to have past data with you. Since you are already having data that you have collected over a period of time and have started your IoT journey in other words, the historical data can be provided to the AI model to make it more accurate and get better outcome from a digital twin. Question 3: What are the prerequisites for implementing digital twin? Answer 3:As explained earlier, you need to have an IoT or data journey in place to start with. Furthermore, you can start with a small pilot program and analyze data at different stages of processes, e.g., designing phase, production process, etc. Let a digital twin will handle the performance or optimization. Once you start getting fruitful results, you can upscale it and leverage the intelligence created for other processes. If you want to know how to get started, you can download this guide. Question 4: How is a digital twin different than simulation? Answer 4: There is a thin line between both – digital twin and simulation. Simulation has been used for many years and it is a part of digital twin. However, a digital twin is much more than simulation as it includes an AI model, data computing and processing, predictive analytics and so on. A digital twin will give you an idea of how a particular product will behave in different scenarios. Question 5: Do I need a specialized in-house team to manage and run digital twin once set up? Answer 5:We would suggest your IoT or in-house IT team can handle a digital twin model. You don’t need a separate team to manage it. Question 6: What level of changes do we need to make in the existing processes to implement a digital twin? Answer 6:I would not suggest you are not required to make a lot of changes. Digital twin is all about knocking off redundant processes and operational flaws which are in there in your day to day operations. But you don’t need to change the way you run your business.